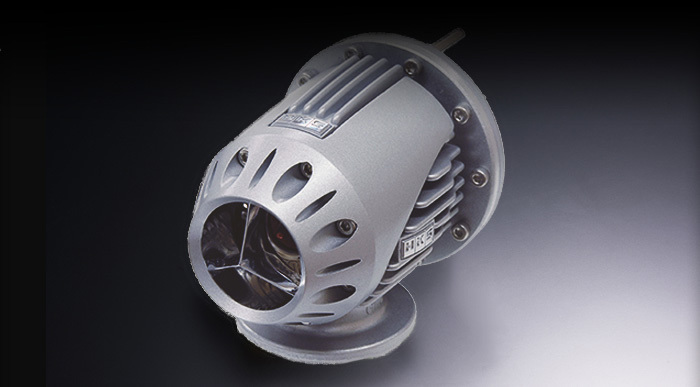 HKS SUPER SQV IV utilizes a unique pull-type sequential valve structure. The differential pressure control system can allow for a broad operation range from low to high boost. This pull-type relief design ensures stable operation regardless of boost pressure. 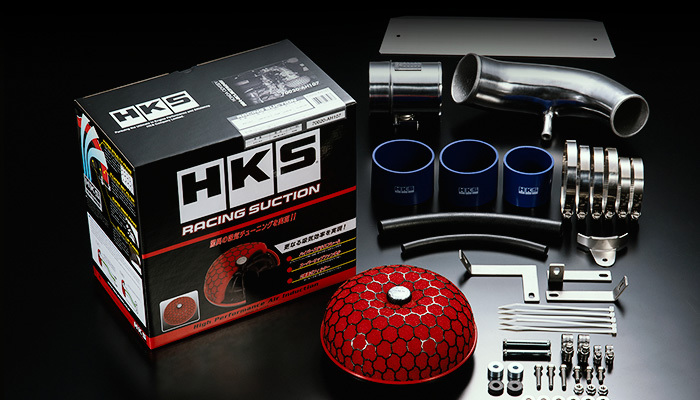 HKS RACING SUCTION Reloaded for R35 GT-R was designed to improve performance and filtration. The Super Funnel design and high-flowing wet 2-layer dual density polyurethane filter element for applications enable the absolute in performance. New stock replacement type air filter utilizing newly developed dry non-woven fabric filter. High dust collection capacity and low resistance are implemented together at a high level. 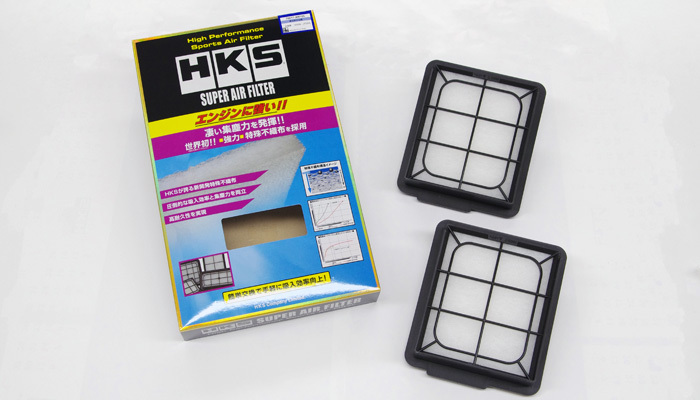 HKS PREMUIM SUCTION includes Aluminum suction pipes and newly developed SUPER HYBRID FILTER. 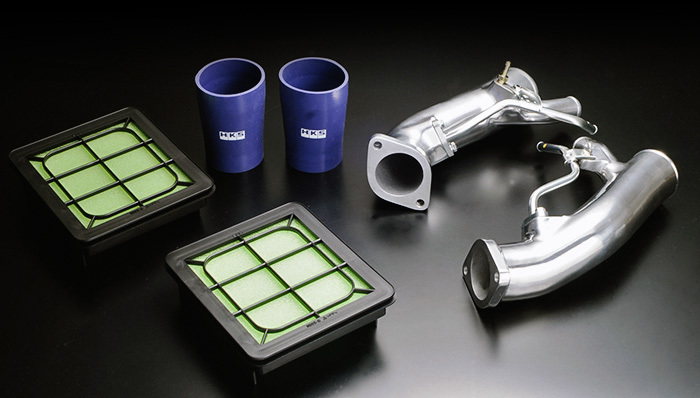 This kit reduces air flow resistance and improves engine response. Installation of this kit improves engine compartment appearance.